On January 7, another large order, namely the Mexico Project which is up to ten million RMB was officially signed by Export Department of ZENITH. It demonstrated that ZENITH has fully prepared for 2013 through the wonderful performance at the beginning of the New Year. At the same time, along with the stable policies, the growth of development and investment on the real estate generally stabilized. Investment on infrastructure was increased, such as on railway, water conservancy and other projects. All of these improved phenomena greatly spurred the needs on construction machines, and also brought the economic spring to the whole construction machinery industry. As a high-end equipment manufacturer, ZENITH, always considered the modern production base as one of its core competitive powers. 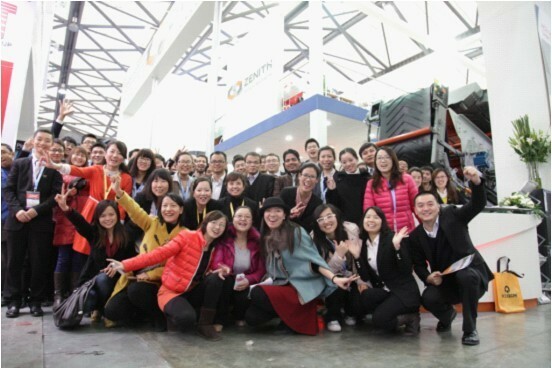 In order to better optimize industry, ZENITH adjusted its deployment on its production bases, forming a series of professional production base on corn crushers and high-tech products. The optimization and integration of resource will further enhance efficiency and will boost ability on production management. In addition, in order to reveal a new style of ZENITH in the New Year, each production base, under the assistance of Customer Experience Committee, was in the process of upgrading production system. Meanwhile, safety production activity launched, based on the case of production without accidents more than 100 days. Through the safety education, employees gradually build up his or her safety awareness on production. Modernized "intelligent" manufacture contributes to the global civilization, and each production bases of ZENITH has been fully prepared for 2013. 2013, we expect more charm, more lightspots in ZENITH!